New England Distilling Co. is located in one of the warehouse-like buildings off Riverside Street that have attracted lots of microbreweries, is a 21st-century update of a 19th-century family business and the only micro distillery in Portland. This distillery is by Ned Wight and he, who used to work at Allagash Brewing Co., got really serious about starting this distillery in the early 2000s. Wight’s great-great-great-grandfather, John Jacob Wight, started making Sherwood Rye Whiskey at his distillery north of Baltimore sometime during the 1850s. There are few implements more visually stunning than the copper pot still, and each batch of spirits it produces adds to its lovely patina. 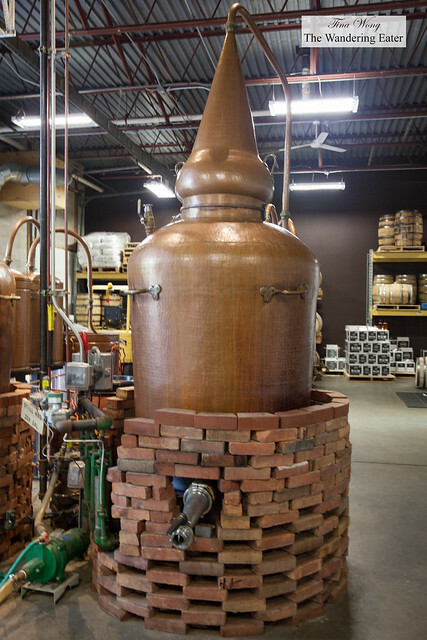 The method of using the still is ancient, yet it is still the preferred tool for creating elegant, modern spirits. 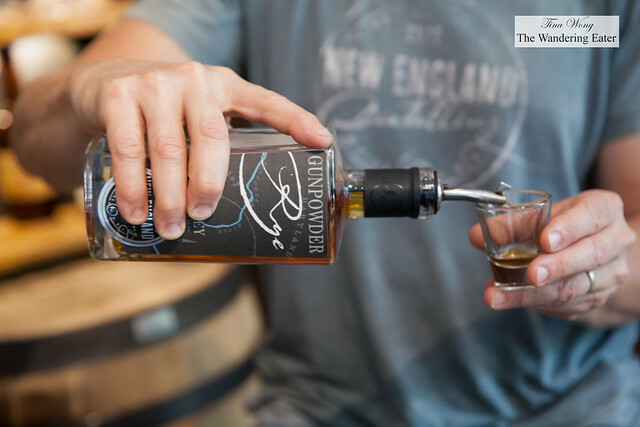 New England Distilling currently produces three different types of spirits: Ingenium Gin, Eight Bells Rum, and Gunpowder Rye Whiskey. Understanding the process of distillation aids in the appreciation of the finished product, so when I visit his operation I ask Wight to shed some light on the procedure. 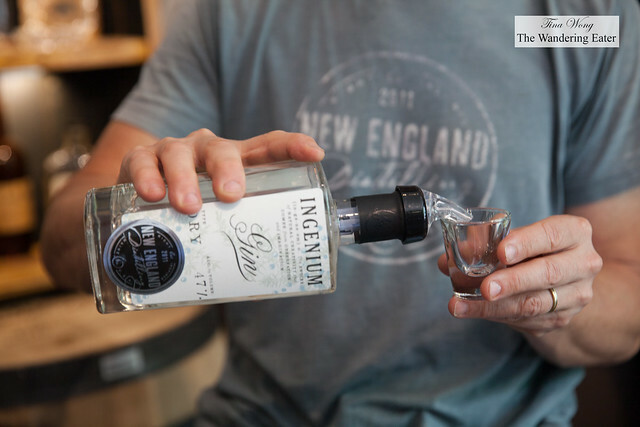 Ingenium won a platinum award in July at the fourth annual Spirits International Prestige (SIP) Awards, a competition where consumers are the judges. 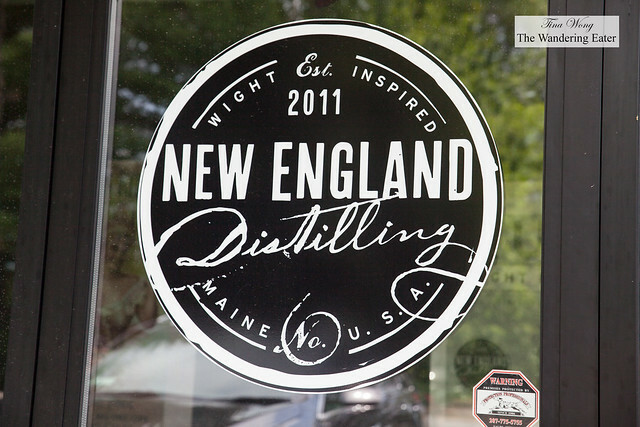 Wight, who typically drinks the gin neat, is now having fun running around downtown Portland trying cocktails that local bartenders are making with it. 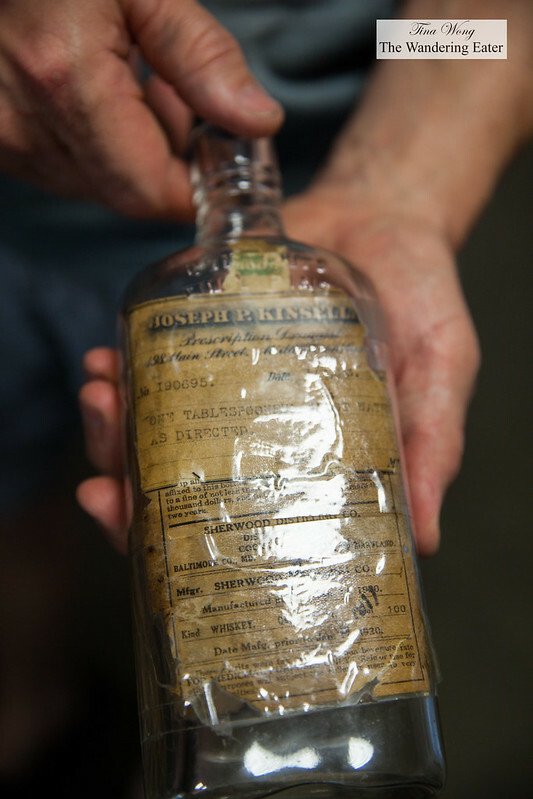 Most recently, it’s been rum running through the still and aging in old whiskey barrels. 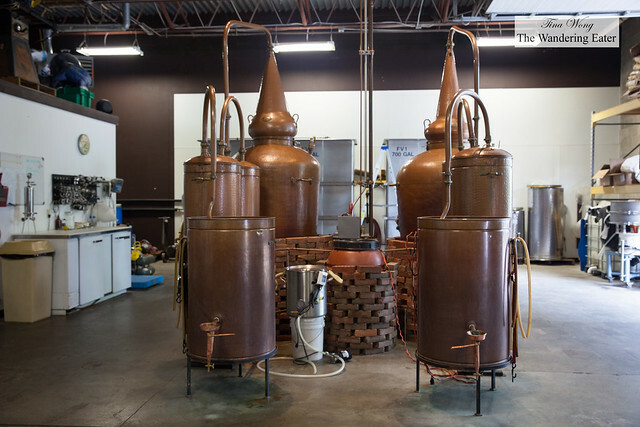 The distillate drips all day from the still into a large glass container producing “low wines.” It’s a 92 proof clear liquid dripping from the still. 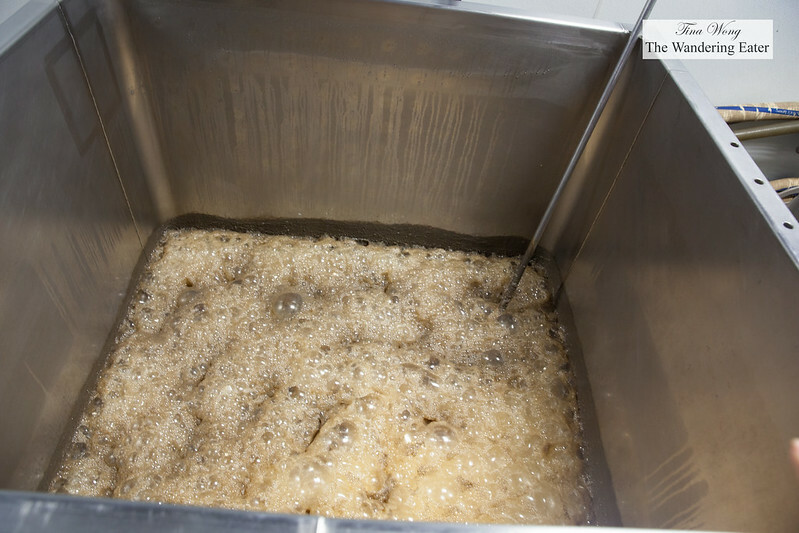 It’s very harsh but one can still smell the molasses. By the end of the day, the jar will contain five gallons or so of rum containing 30 percent alcohol. At bottling time, the rum will be 150 proof, and will be cut with distilled water before it’s ready for consumption. 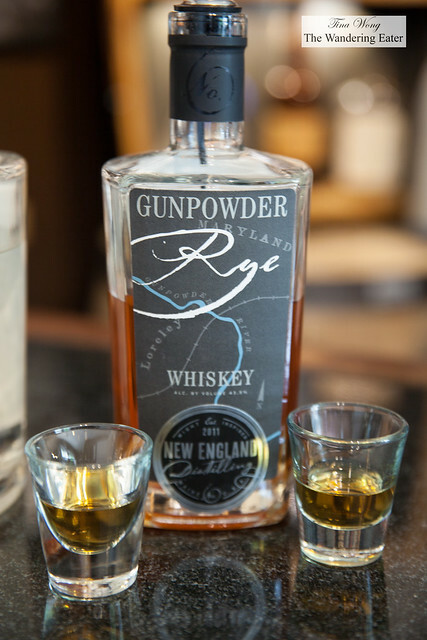 New England Distilling currently produces three different types of spirits: Ingenium Gin, Eight Bells Rum, and Gunpowder Rye Whiskey. 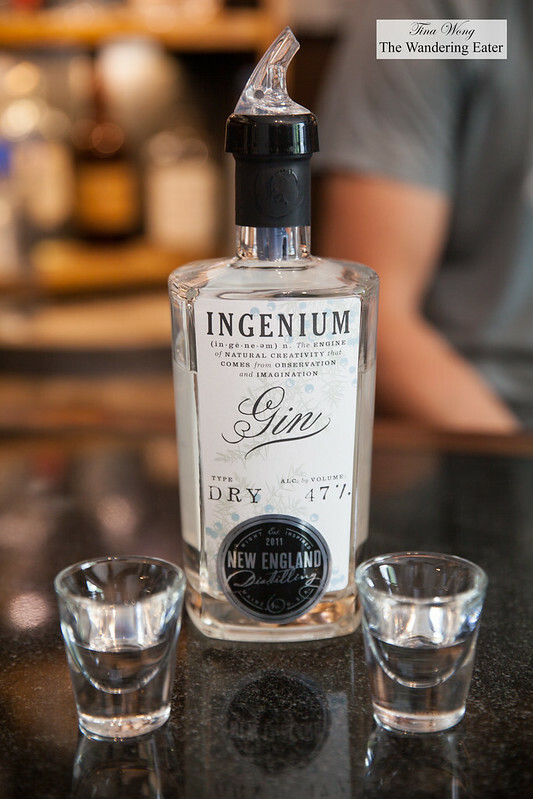 The Ingenium was designed to be a “sipping gin,” taking more inspiration from the spirits of the Netherlands, Belgium, and Italy, and less pointers from the classic London dry style. 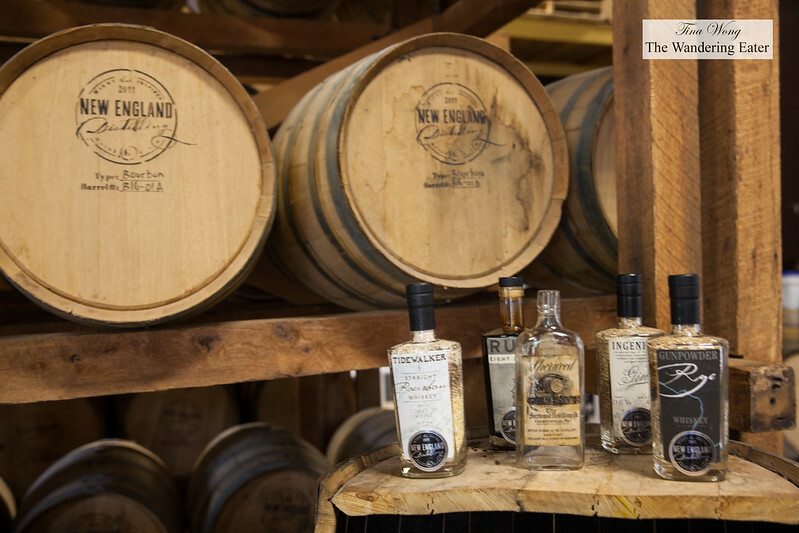 The flavor profile is comprised of ten different botanicals, and though they work in perfect harmony it is possible to discern a few upon sampling, such as lemongrass. The Eight Bells is an homage to Maine’s rich history of rum-running colonials in the 1800s, and after being aged in bourbon barrels it mellows out and develops rich, almost tropical flavors. 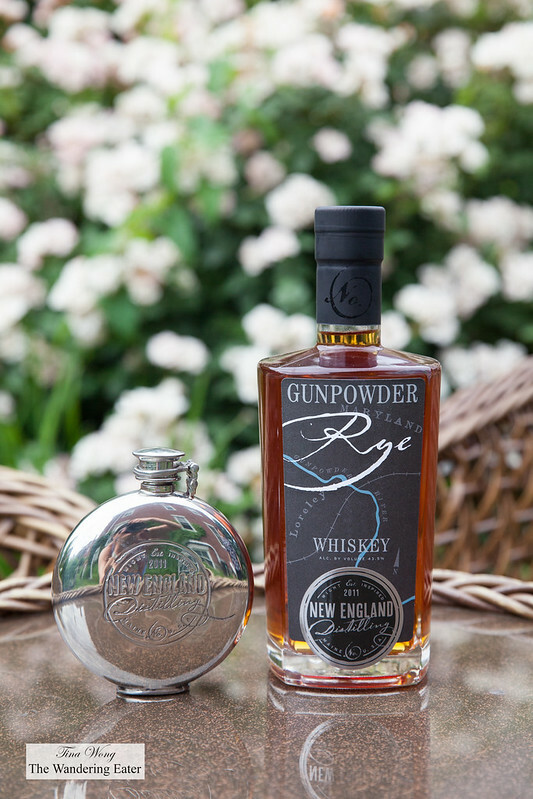 Lastly, the Gunpowder Rye is a Maryland-style whiskey, inspired by Wight’s family history. 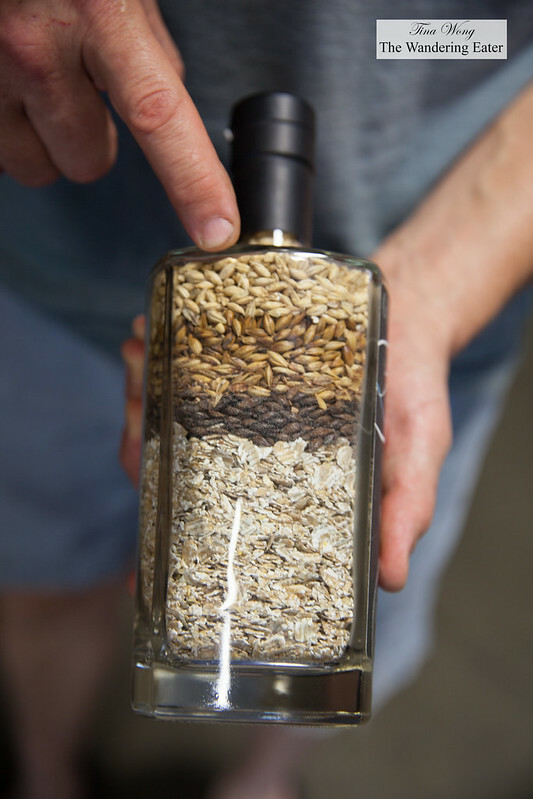 Maryland rye has hints of bread and spice and is different from the more bourbon-like Kentucky rye because it is made from rye and barley, but not corn.